It happened - CARMA 9, March 6-8, 2018! CARMA 9 took place place 6-8 March 2018 in Whitehorse, Yukon.The CircumArctic Rangifer Monitoring and Assessment (CARMA) Network has, since 2004, brought together people concerned about the future of migratory tundra caribou and wild reindeer among seven Arctic nations. Since we have started collaborating, we have shared information about unprecedented and widespread changes in migratory tundra herds and their seasonal ranges. CARMA has seen that, since the 1990s, most herds have declined, some herds almost disappearing, others experiencing up to 80% declines and, a few are stable or increasing. As co-management boards and agencies are working to halt declines and start recovery, CARMA 9 was focused on how the caribou landscape is changing and the implications for recovery. CARMA would like to thank World Wildlife Fund Canada for provding the major funding for the workshop. Additional sponsors were Government of NWT, Porcupine Caribou Management Board, Wek'eezii Renewable Resources Board, Wildlife Conservation Society Canada and Environmental Dynamics Inc. Many thanks to all of them as well. See the conferences pages under menu item About/Conferences/Carma 9 for agenda, posters and presentations. Use CARMA's interactive map to learn more about circumpolar Rangifer herds. Internationally – what is happening to caribou and wild reindeer? Taking all caribou and wild reindeer types (forest or boreal; mountain and tundra) into account; IUCN categorized Rangifer tarandus in 2015, as Vulnerable A2a. Abundance has overall declined by a 40% decline from about 4.8 million to 2.9 million individuals over three generations (about 21-27 years) across their circum-Arctic ranges. The IUCN ranking was Least Concern in 2008 and 1996. 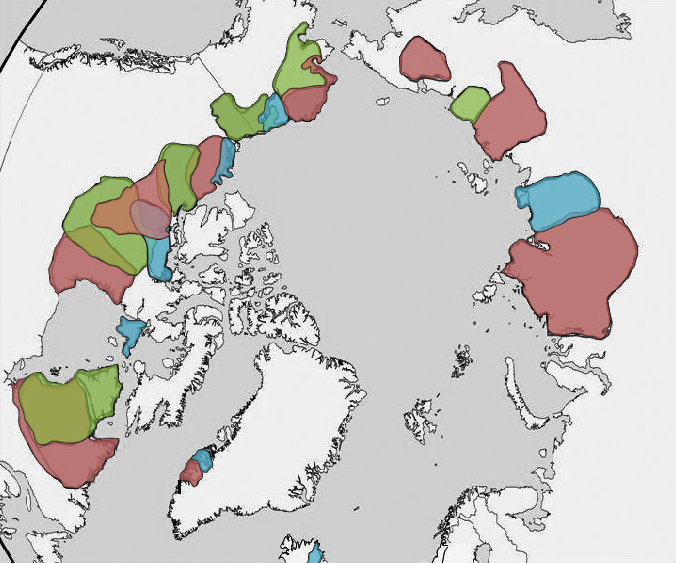 CARMA’s network of contacts and databases contributed to the assessment for migratory tundra caribou and wild reindeer. We recognize still more effort is needed to refine the assessments and to expand their basis. It is worth remembering that uncertainty is high about the extent of the declines and the under-lying mechanisms which vary with region.